Dr. Henriod is an expert in his field of advanced periodontic treatment with laser dentistry. 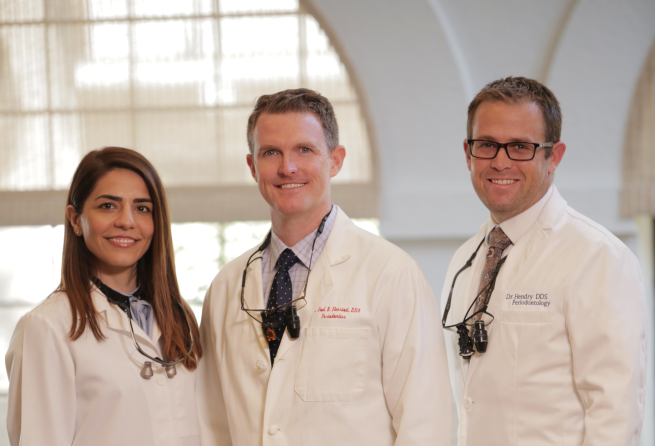 Dr. Henriod received his DDS degree from the renowned UCLA School of Dentistry and was the Chief Resident during his Periodontic Residency at the Medical University of South Carolina. Because periodontics is an ever changing field, continual learning is a cornerstone of his dental practice. He’s a Diplomate of the prestigious American Board of Periodontology. He was certified after passing a comprehensive and rigorous examination process covering all phases of gum disease and its treatment, including dental implants. Only 10% of periodontists have this certification. In addition to being board-certified in periodontics, Dr. Henriod is certified in LANAP (laser periodontal surgery), a minimally invasive alternative to regular periodontal surgery (gum disease surgery); trained in the Pinhole Surgical Technique, a non-surgical solution for receding gum; and he is certified in oral and IV sedation as well. He not only stays on top of the latest gum grafting techniques through continuing education, but he’s also an innovator in minimally invasive gum grafting. Respected by his peers as one of the top periodontists in the area, Dr. Henriod teaches periodontists and other dentists about implant surgery, bone grafting techniques and minimally invasive gum grafting. His reputation for practical problem solving using the best technology and techniques has made him a sought-after speaker. 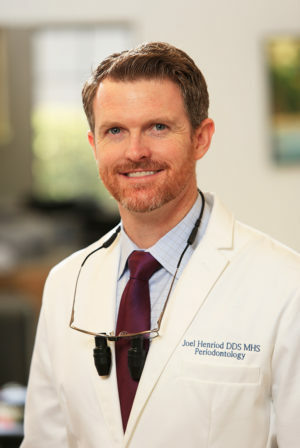 Dr. Henriod loves improving the oral health of his patients through periodontal treatment and helping fearful patients realize that modern surgical dentistry is more comfortable and less invasive than ever. He is passionate about giving his patients the best care every time he sees them. 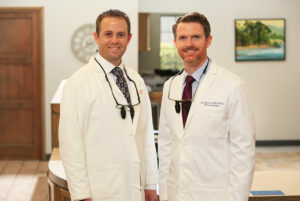 Dr. Henriod and Dr. Hendry have been voted Top Dentists by readers of Pasadena Magazine since 2013. Dr. Henriod’s academic career is marked by excellence in achievement and by taking a leadership position throughout. Dr. Henriod with his family. Dr. Hendry received his DDS degree from UCLA School of Dentistry. He completed his residency at UCLA Periodontics. Dr. Hendry is certified in LANAP® (Laser Periodontal Surgery), Chao Pinhole® Surgical Technique (PST), as well as both Oral and IV sedation. 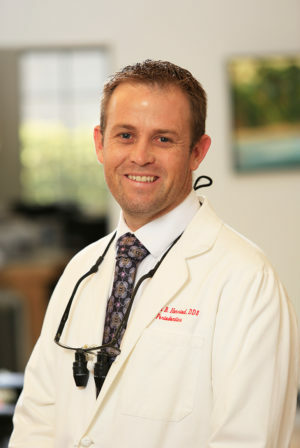 Dr. Hendry’s passion is to provide periodontal services using the most pain free and advanced techniques available. He cares greatly about each individual’s needs and wants them to have a smile they can be proud of. 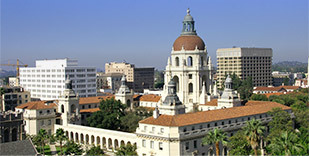 “I love living here in beautiful Southern California with my wife and three children. Together, we like to play as hard as we work. You can find us at the beach, hiking in the mountains, or at one of the many theme parks California has to offer. As a family, we enjoy biking, hiking, swimming and even flying. I have had my private pilot’s license for almost 20 years and I hope to visit all of the wonders of this amazing state. In my spare time, I enjoy competing in triathlons, scuba diving, traveling, and spending time with my extended family. I also volunteer with Boy Scouts of America and am an active member of my church. Achievement Award for Leadership and Student Welfare. recipient of the WSP Resident Research Award in 2018. Dr. Lari takes the time to understand the patient’s desires and concerns to develop the best periodontal treatment plan for each patient. She firmly believes that the most rewarding aspect of dentistry is connecting to her patients on a personal level. 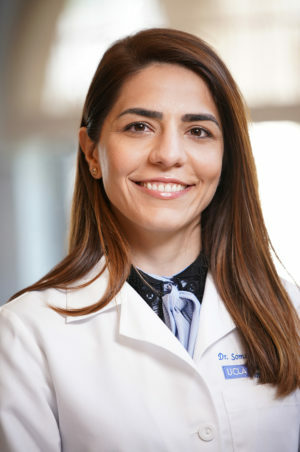 In addition to her time in private practice, Dr. Lari is a clinical faculty member at UCLA School of Dentistry. She maintains current memberships in multiple dental societies and continues to advance her degree and expertise with continuing education. Dr. Miller’s advanced education and experience in periodontics has given him the ability to treat patients with the highest quality of care. As Dr. Ronald Miller says, “education is the foundation of science.” He attributes his solid foundation as a periodontist to his excellent education and post-graduate continuing education. Periodontics has seen many changes since Dr. Miller started practicing in the 1980s, and Dr. Miller has been proud to embrace them all. “I am so very grateful to be part of a profession in which there are so many advancements, and the changes and improvements have been unbelievable,” says Dr. Miller. Above all, Dr. Miller loves the opportunity he has had to help thousands of patients live better lives through good oral health. 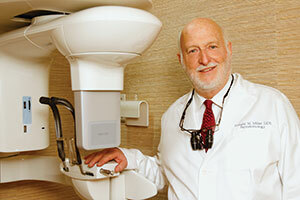 Dr. Miller uses the most advanced technology that modern dentistry has to offer. 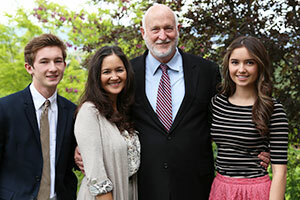 Dr. Miller with his family. 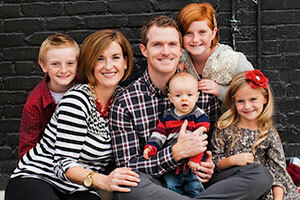 Dr. Miller was born into a wonderful family headed by loving parents. He grew up in Monrovia, California and made many lifelong friends there. He played basketball in high school and received many scholarships. He chose Loyola University and later realized what a great choice he had made. After Loyola, he served as a missionary for his church for two years, then went to USC for his dental degree. After graduation, he went to Loma Linda University to pursue his specialty training in periodontics. Dr. Miller enjoys golfing, skiing, fishing, gardening, and reading. He has been blessed with good health, a wonderful family, a beautiful and loving wife, nine wonderful children, several grandchildren and many friends. Dr. Miller passed away in February after a courageous battle with lung cancer. We miss him every day and are grateful for his legacy of humane, dental care over almost 50 years!